Who doesn't like an extra double-tap on their photo or who minds a new follower every now and then? We don't. So let's find out how to spice up your browsing experience in terms of productivity and efficiency as well. Also, keep reading to find out how to make your content more drool-worthy, because a story of you playing autotuned songs on the car's dashboard doesn't make the cut anymore. Filters are overrated! Animoji is the real deal these days, and people have started getting along with this trend. This is how you could make an animoji of yourself for free! The hassle of going to select the new post tab to open gallery, and then the related folder just to select the most recent picture takes 5 seconds, but why even waste those 5 seconds. 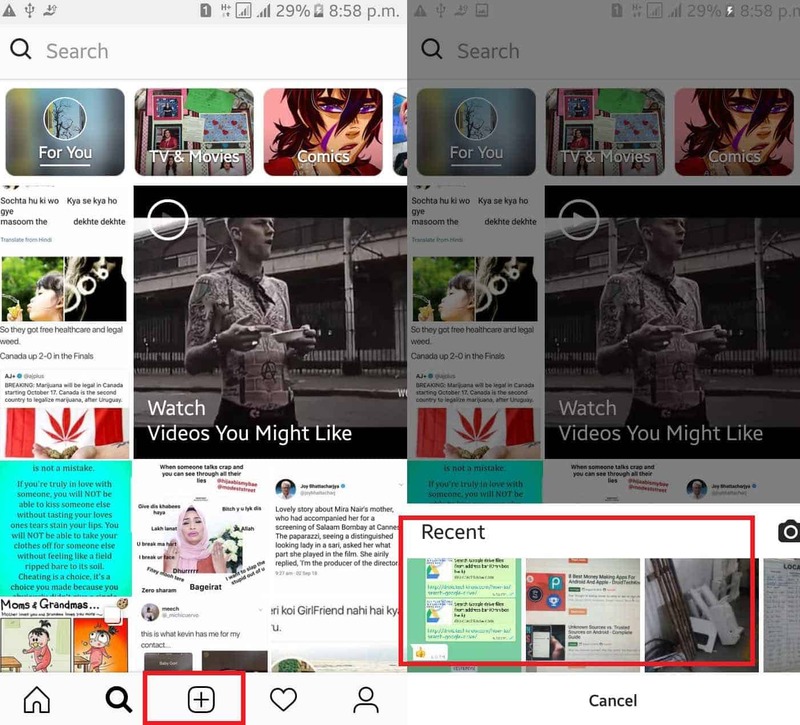 Simple long-press the Plus icon on the bottom bar of the app, and it will automatically open the most recent pictures of your phone. Easy pezy lemon squezy right? Hyper-lapse videos are multiple times entertaining to look at in the Instagram community at the moment! The software stabilisation works excellent in the Microsoft Hyperlapse app, so that record and share smooth and exciting videos for the gram! You can add more than just the regular font in your bio or stories. Navigate to Lingojam and start typing. There is a wide variety of font assortment to choose from. Now simply copy the text after you selected the desired font, and paste it into your bio or story. Give and take is a golden phenomenon in the Instagram community. If you like a few pics of other users, they might as well return a few likes and good comments at your posts. Sometimes, you might earn new followers too! Look out for special hashtags like #likeforlike as well. This community will like your picture if you like theirs too. If you wish to add a musical experience to your story, like everyone is doing right now, we have a solution for you. The simplest way to do it is, open your music player before opening Instagram. Now play the track you wish to, and start recording the video story like you normally do. This will record the soundtrack in your story. Simple. If any of this is new to you, don't forget to share it with your friends! It might be new to them as well. Don't forget to leave your article suggestions in the comments box.